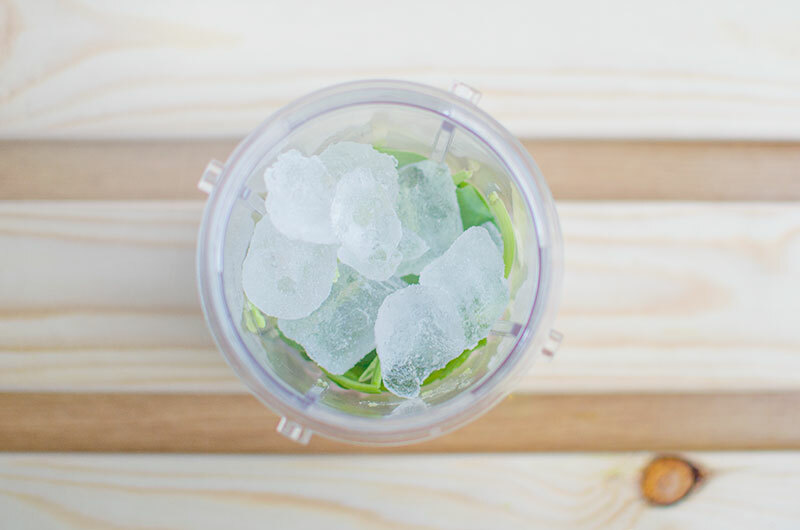 Green Smoothie Recipe - That Tastes Like Banana Milkshake! A few weeks ago we bought a Nutri-Ninja. Alison recommended it as she had previously bought one of the other brands which had broken, apparently this one is more reliable as well has having a faster motor and being quite a lot cheaper. We’ve had it for a few weeks now and have been really impressed. It blends up nuts in seconds and making a smoothie full of fruit and vegetables makes me feels so much healthier. I love that you can have your 5 a day in one go plus Cherry likes them too, Tiger not so much but he’s still scared of anything that’s green. I have to admit that since we bought it I’ve been really un-adventurous and have only made one type of smoothie, I haven’t even looked into other recipes for inspiration yet as I made this out of what we had in the kitchen and really liked it. I don’t mind the really green smoothies, in fact Mr C has been making one that is nice too using apple juice, mint, cucumber, avocado, banana and spinach but I like ones that are creamier and more like milkshakes. 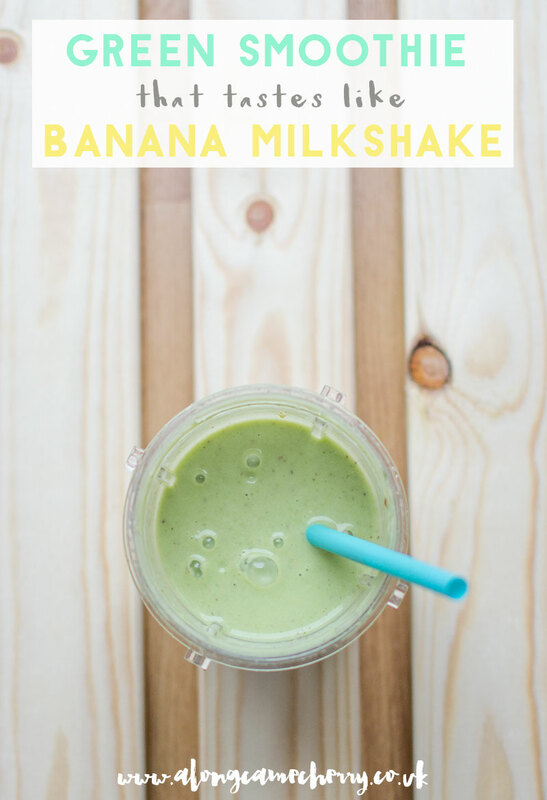 That’s why I like this green smoothie recipe, it’s dairy free and has lots of goodness in it but it just tastes like a banana milkshake. 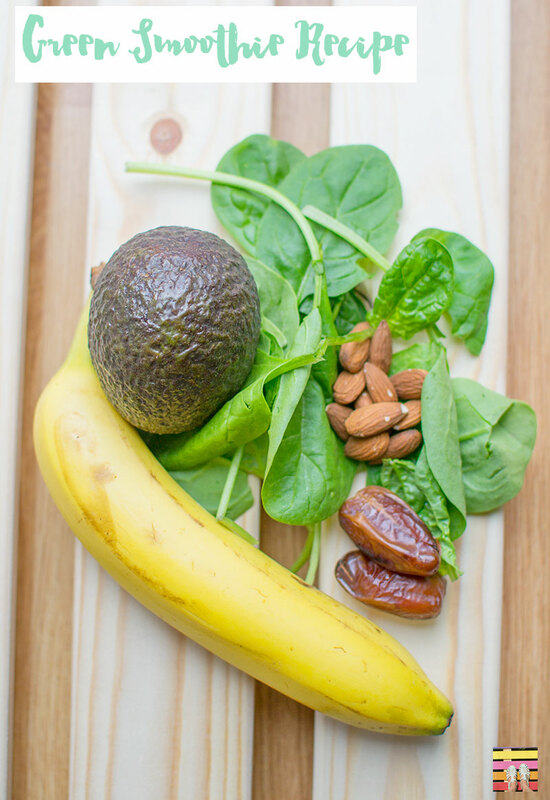 Place the almonds, dates, banana, spinach, avocado and ice in the blender cup. Add enough almond milk to cover it all then put the lid on and pulse for about a minute. You might need to add more almond milk if you don’t like it to be too thick. I’ve also tried it with kale instead of the spinach which works well and you can also add more avocado but we usually share one each morning so just use half. Avocados have many health benefits including being full of healthy fats, potassium, fibre and antioxidants. Dates are also full of vitamins and minerals and have many health benefits plus they are super sweet and have such a nice flavour. Almonds are high in vitamin E which is great for your skin. Spinach is full of vitamins and minerals including iron. Bananas contain tryptophan which can boost your mood. What’s your favourite green smoothie recipe? You might also like my week of vegan dinner ideas or vegan apple crumble recipe.